FLIR Systems GF320 optical gas imaging cameras are being used to identify leaks and unexpectedly high discharges of methane resulting from fracking operations to extract gaseous hydrocarbons from shale and coal deposits. Studies in the USA and Europe have found that the largest releases of methane can potentially arise during hydraulic fracturing, in production trials and arising from venting and leaks during the completion phase and early production. Because emissions from intensive fracking operations can have a significant impact on emissions of methane and other greenhouse gases, Environmental agencies are looking, in conjunction with industry, to develop methods for estimation of emissions and regular emissions monitoring from these unconventional gas installations. 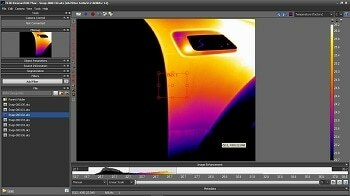 One monitoring technique generating widespread interest is the use of IR thermal imaging cameras for Optical Gas Imaging (OGI). 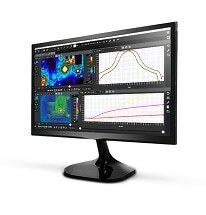 The FLIR GF320 is an IR camera for optical gas imaging that visualizes and pinpoints leaks of hydrocarbons and other volatile organic compounds, without the need to shut down the fracking operation. The portable camera also greatly improves operator safety, by detecting emissions at a safe distance, and helping to protect the environment by tracing leaks of these environmentally harmful gases. Optical Gas Imaging using a FLIR GF320 camera offers the fracking industry a monitoring tool to help reduce emissions thereby enabling operator owners to conform to strengthening environmental emission regulations and save money as part of a much more efficient process. FLIR Systems OGI camera's have become a defacto standard adopted by manufacturing plants across the world for the visualization and documentation of gas leaks. 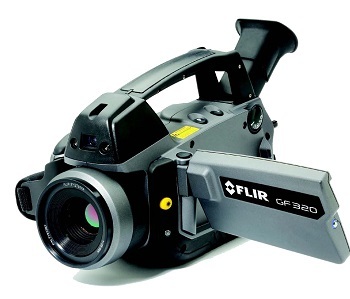 Since the introduction of OGI camera technology by FLIR in 2006, the company has supplied over 3000 OGI cameras to end user operators, service provider companies and Environmental Protection Agencies worldwide. 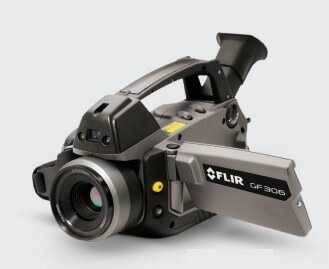 For further information please visit www.flir.com or contact FLIR Systems at [email protected] or +32-3665-5100.